Another day, another data breach and unfortunately it doesn’t look like things are going to change anytime soon. 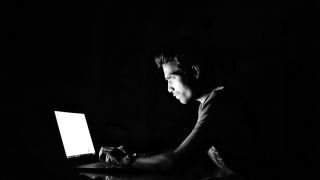 Even as businesses beef up their cybersecurity efforts, cybercriminals consistently discover new vulnerabilities to exploit and employ new tactics to gain access to valuable company and consumer data. So what can consumers do to protect their personal data in 2019? TechRadar Pro spoke with Lexington Law’s Directing Attorney John Heath who recommends a personal security audit and explained how to conduct one on yourself. Do you think the number of data breaches this year will surpass last year and if so why? I think that the number of data breaches could very well surpass last year. Data breaches have been on the rise for several years, and just last year, billions of consumers were impacted, with hackers stealing everything from credit card numbers and passport numbers to social security numbers and home addresses. I think that breaches aren’t showing any signs of slowing down because hackers realize that sensitive personal consumer information is available in more and more places, from government agencies and retailers to banks and hotels. Hackers want access to all of this data and will stop at nothing to get it. How can consumers ensure their passwords are strong and unique? I know it seems easier to create passwords that use words or numbers that you’re familiar with, such as a previous address, a birthday or a pet’s name, but they provide easy access for hackers, who are looking for consumers to do exactly that. Also, avoid using the same password for multiple sites because if a hacker obtains that password, they could have easy access to even more information. Experts recommend creating longer passwords, with a mix of at least 10 uppercase and lowercase letters, numbers and symbols / punctuation. If you’re having trouble coming up with them yourself, several random password generator sites exist to make the job easy. Once you’ve created strong passwords for all of your online profiles (including ones you may not immediately think of, such as social media sites), I’d recommend using a reliable password manager to help you keep track of your passwords. That way, you aren’t putting your passwords at risk and you’ll only need to remember one password instead of hundreds of passwords. What information should users remove from their social media accounts to make them less susceptible to social engineering attacks and phishing attempts? While content shared by users of social media was, and still is, relatively innocuous, many users are unaware of the potential danger they place themselves in through the public sharing about their personal lives. Society has seen a massive integration of social media, with millions of users logging onto sites like Instagram, Facebook, Snapchat and more each day. So how can you keep your identity safe? For starters, check your privacy settings. A common privacy setting I’d recommend using is creating customized lists of contacts who can view and access your information, so unwanted visitors and the general public can’t see your posts and private information. In your profile, don’t include too much information such as your birthday, where you went to school, the street where you grew up and where you are currently living. Also, know what social media platforms you use and how often. It’s important to check the accounts you don’t use anymore or aren’t on often to ensure that there aren’t any fake accounts associated with your name and/or face. Why should consumers ensure the apps and software on their devices are updated to the latest versions? Updating your computer software and ensuring that all of your mobile apps are up to date can take time and many consider it an annoyance. However, consumers who aren’t regularly updating their apps and software are putting themselves at risk of attacks. These important updates often have improved safety features and help your computer or mobile phone run more smoothly. If you’re forgetful, set weekly or monthly reminders to ensure everything is up to date. Even better, if your updates have the option of manual or automatic installs, change the settings to automatic updates so you don’t need to worry about missing out on a major security patch. What can a person’s credit report tell them about their personal security? Credit reports are a record of a person’s credit history that is maintained by a credit reporting agency, or credit bureau. It is important to note credit reports aren’t just a current record of how you are managing your credit accounts. Rather, credit reports include a history of everything you are doing with your credit now, as well as what you have done during the past 7-10 years. As such, a person’s credit report can tell a lot about their personal security, and unfortunately, identity theft can negatively impact it. Good credit is essential for many life milestones, including buying a home, securing a job and getting a loan, among other things. However, identity thieves can cause your credit score to plummet if they compromise an existing account or open a new account in your name, then fail to pay back the debt, which will be attributed back to you. To avoid this issue, regularly review your credit report for signs of inaccuracies or potential fraud and file a police report and a fraud report with the three main credit bureaus if you see anything suspicious. Also, consider identity theft protection tools such as Lexington Law’s recently upgraded Lex OnTrack, which combines identity protection and credit repair for peace of mind. Is it worth considering getting a professional security audit done? Most consumers should be fine doing their own personal security audits every couple of months to make sure all of their accounts and data are secure. However, for people who have more than the typical numbers of accounts, such as independent contractors or small business owners who may have separate business social media, banking and loyalty program accounts, seeking out a professional could save time and the manual effort. Also, if you have inaccuracies on your credit report due to potential hacks or fraud, working with a professional credit repair company such as Lexington Law will help repair the damage done. What would be the number one tip you would give someone concerned about their security? Always remain vigilant. Too often, consumers can get lured into a false sense of security if they haven’t been hacked. Even though you may have escaped hacking attempts in the past, a personal security audit of your passwords, social media accounts apps / software and credit report is important. Taking the time to ensure all of your accounts are secure will give you peace of mind and will help thwart potential attacks down the road.